Memory Jars Are The BEST New Year’s Resolution! How often have you made a New Year’s resolution that didn’t make it past the first few weeks? One year, I swore I would go for a run every Wednesday when I got off of work early. The next, I remember vehemently swearing off any and all sodas. Those dreams never worked out for me, but this is a resolution that makes a lot more sense! It’s a simple idea that has the potential to be a lifelong family tradition. The key to its success, say many who have tried it, is making it as convenient as possible. First, grab a large jar with a lid. Second, decorate said jar with the year. Third, attach a pen to the jar or leave a pen and stack of note cards near the jar. Now, set it out on New Year’s Day. Any time someone experiences a success – even something as small as coming home to find their laundry folded by someone else – it goes in the jar with the date and time! Big successes, too! Graduations, weddings, promotions at work, straight A’s, all of it goes into the jar. 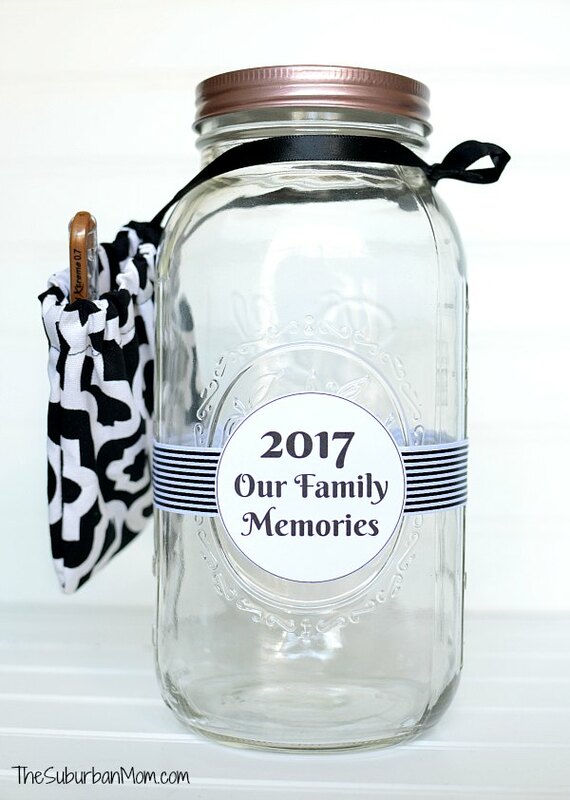 After an entire year, the family can gather around on New Year’s Eve and take turns reading the notes that were put into the jar. Re-living the positive moments with the people that you love the most is quickly becoming a favorite tradition among families. Does your family have a tradition like this? If not, it may be the perfect time to start! See here for the full tutorial on this jar!